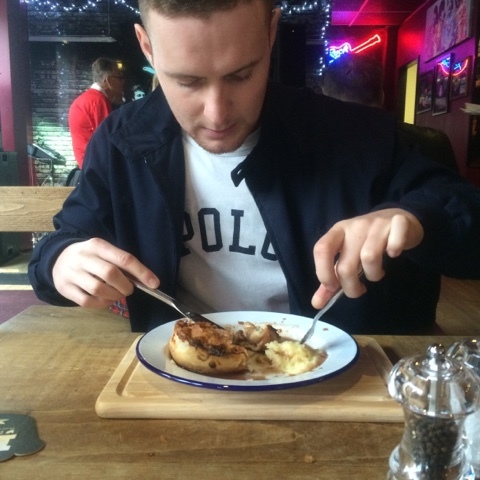 Sticky Fingers, Middlesbrough and PieMinister Pies! | gingerbread smiles. Sticky Fingers, Middlesbrough and PieMinister Pies! A few days before Christmas Matt's parents told us about some amazing pies they'd had from a place in Middlesbrough. We'd heard of the place before, Sticky Fingers, but never had chance to visit. Now with this glowing review we decided to venture out and see what they had to offer. We went of Boxing Day, which also happened to collide with a Boro home match (meaning town was busy! ), about lunchtime to sample a pie! As we got there just as they'd opened, the pies took a while to warm but we didn't complain just waited patiently to fill our hungry stomachs! There was a selection of pies on the menu all made by a Brighton based company called PieMinister, specialising in good quality pies! I chose 'Moo' which is basically steak, and Matt had 'Moo and Blue' which was steak with Long Clawson Stilton. I had mash, peas and gravy with mine whilst Matt went with the peas! The pie was delicious, just as pie should be. Packed with flavour, gravy, meat and veg it was yum! Matt felt the same but added that with his you could taste the cheese but it wasn't overpowering. Before this Matt hasn't had a pie in around 4 years, and after this one he went back a few days later with a friend for another! Shows how highly he thought of the pie! Sticky Fingers is a nice quaint bar with a rock and roll vibe. 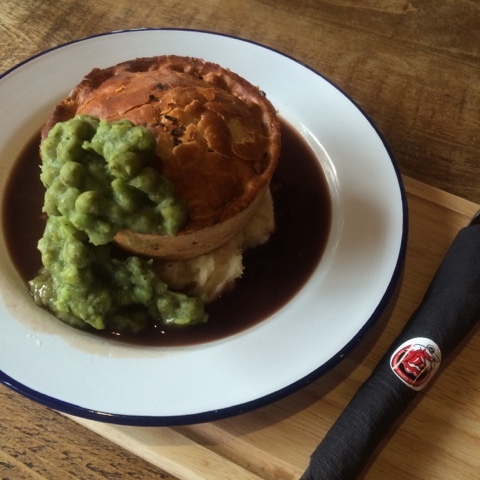 It's nice to find somewhere a little different and I think adding these pies to the menu was a great shout as the word is spreading across Middlesbrough! Have you been before? What's your fave pie? !